The marketing experts at Gartner Group recently published a report entitled “How to Get Started in Agile Marketing.” Their basic point is that brands who develop the ability to deploy marketing campaigns at speeds once thought unrealistic will outperform their competitors. 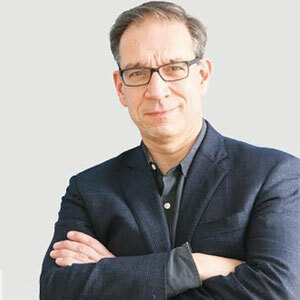 A research study in MarketingProfs, meanwhile, revealed that more than 30% of brands need more than 30 days to roll a new marketing campaign out to their field, and that this delay is a significant disadvantage, while the top performing 20% need just 8 days to get the same job done. So how can CMOs up their “marketing agility”? First, organize your marketing team so the local perspective is “baked into” campaign creation from the outset. Second, make sure your field marketing team is in close contact with local marketers frequently to help adapt initiatives to those local needs. And third, use technology, in the form of a local marketing automation system that can ensure your campaigns go from the drawing board to local markets quickly, efficiently, and with a high degree of targeting and control. For a great example of these principles in action, consider Polaris Industries—the world leader in the powersports industry. With 11 unique brands and a 2400-member dealer community that spans the globe, Polaris competes for dealer mind- and market-share with a number of other globally recognized brands, including Honda, Yamaha, Kawasaki, and others. 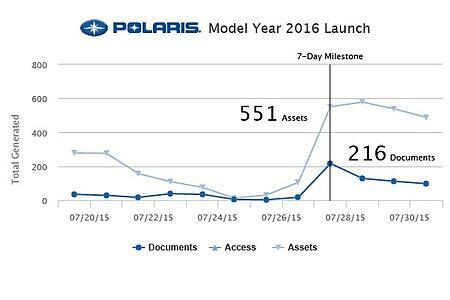 To drive sales, the Polaris brands together mount as many as 100 unique sales events over the course of a single calendar year. They need their regional marketing teams to gain access to these materials as soon as possible after the launch date,. They need to make it fast and easy for dealers to customize campaign vehicles (postcards, email, signage, in-store displays, banner ads, TV and radio spots, etc). And they need to listen to feedback from the field, so they can solve problems and optimize the next campaign based on that guidance. To make the challenge even more complex, Polaris’ visibility with the press means that they need to keep the campaigns under lock and key until the very moment of launch—to maintain the element of mystery and surprise—and then burst upon as many local scenes as quickly as they can. So how does Polaris achieve marketing agility in this dynamic environment? Polaris insists that every brand marketer gain direct sustained experience in the field. Walk the brand management halls at Polaris and you will find that virtually everybody has spent two years or more in the field—sometimes as regional marketing consultants, sometimes as dealers themselves. This experience with and sympathy for the field is a key part of the company’s culture, as it engenders a depth of understanding about the dealer experience that few if any competitors in the field can match.What’s more, the field-level experience helps to ensure that every marketer at Polaris shares the passion of the brand for the riding experience. You can’t fake that kind of passion when you’re working directly with dealers every day, and the authenticity of that shines through in everything Polaris does. Polaris embraces dealer agencies and vendors with the same enthusiasm and trust that they show to the brand-voice agencies that work with the headquarters team. Members of the press and of the local agency community are given their own methods for accessing brand-creative, and often interact directly with corporate resources and systems—at no charge and with the same basic permissions and privileges as a member of the Polaris dealer community. Creating this “big tent”, helps Polaris win the battle of mind share in the marketplace, because they’ve engendered loyalty with the people who make that mind share happen. Within 7 days of the model year launch, on July 27, all of the brand’s 100+ dealerships had downloaded new assets or built ads for the new model year. Polaris combines high-tech systems with high-touch field marketing support, to help dealers achieve success in every detail. Field marketing teams provide on-the-spot guidance to dealers not only about what products to buy, but how best to apply campaign materials to their local selling environments. Much more than “technical” support, this is market and marketing intelligence delivered where it has the most direct effect. Polaris uses Local Marketing Automation Technology to ensure rapid deployment of brand materials. The charts below depict the download and ad building activity on the Polaris Marketing Portal for one of the company’s 11 brands – Indian Motorcycle. They indicate that the brand achieved effectively full deployment of the campaign within 7 days of launch—execution that places the brand among the top 20% of performers, according to MarketingProfs.com. And by the end of the first month, the average dealership had engaged with the new model year assets and templates more than 18 different times. Marketing agility then, stems from an abiding commitment to the field marketer, and a willingness to utilize technology to make that commitment visible and helpful every day. 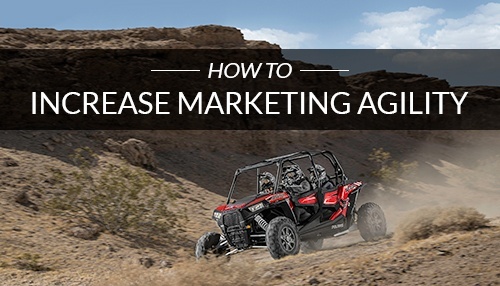 Learn more about how Polaris Industries uses local marketing automation to empower their industry-leading dealer marketing campaigns.